Blues Bourbon and BBQ! What could be better? How about Unlimited Blues, Fourteen types of Bourbon, AYCE BBQ, Craft Brews AND the satisfaction to know you are helping some very worthy causes. 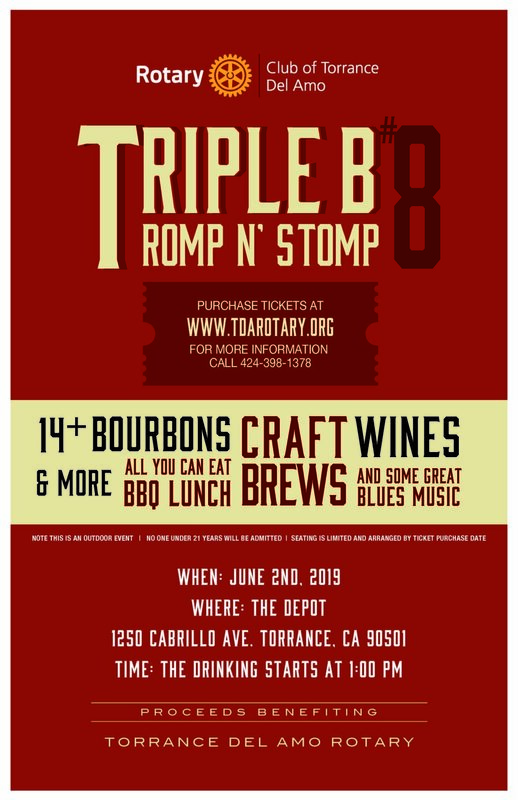 This is the 8th annual Triple B - you don't want to miss it! There will be a live auction at the event so bring your wallet. This year, proceeds are our Scholarship Fund.